Box.com is a cloud-based repository that allows users to store, access, share and transfer electronic files. It also has features that allow for collaboration on the drafting of documents. We will touch on some of the key features here and more detailed information about each feature will be provided in future blog posts. Users can easily access files from different devices (such as computers, tablets and smartphones) anywhere they can connect to the internet. This allows federal defender offices and CJA panel attorneys to share discovery and work product easily and efficiently in a secure environment. With the national contract the National Litigation Support Team (NLST) has with Box.com, the security features emulates those of USAfX, the DOJ’s re-branded version of Box.com they use to disseminate discovery in many districts. If you are interested in using Box.com for one of your cases or have questions about its utility, please contact Kalei Achiu with the NLST at kalei_achiu@fd.org or 510-250-6310. Box Drive, otherwise known as “Desktop, meets cloud”, allows users to access Box content from their desktop. Unlike Box Sync, Drive brings the entire universe of Box.com files to the desktop without taking up too much space on a hard drive since files are stored in the cloud instead of locally on a computer. However, it does not support offline access to content. Users will need an internet connection to access files. Box Drive can be easily accessed on a user’s desktop from Windows Explorer (Finder on a Mac) or the Windows System Tray (System Notification on a Mac). Documents can be created and/or edited from the desktop and changes will automatically be saved back to Box.com. Drive also gives users the option to “lock” shared files to keep other collaborators from overwriting edits. Learn more about Box Drive and download it here: https://www.box.com/resources/downloads/drive. Box Sync allows users to mirror data stored on Box.com on their desktop or laptops. Unlike, Box Drive, users do not need an internet connection to access files once they are downloaded. Box Sync allows users to choose which files to sync so you don’t have to sync an entire folder. If any changes or edits are made, they will be synced back to Box.com the next time you connect to the internet. Box Sync allows the user syncing documents to choose the location where the synced folder resides. By default, synced folders live on the user’s local C: drive. However during the initial setup, the location can be changed to a shared network drive so that all those with access to that shared network drive can then access the synced folder. Learn more about Box Sync and download it here: https://community.box.com/t5/Using-Box-Sync/Installing-Box-Sync/ta-p/85. Box Edit is a feature that makes collaboration even easier by allowing users to edit files directly from Box.com. Users no longer must download a file, make their changes and then upload it back to Box with a different name. Box Edit works with many programs including Word, Excel, PowerPoint and Adobe Acrobat. Once Box Edit is installed on a computer that also has the program in which the file was originally created, users can access the file in Box, which will then launch the document in the original program. Revisions are made in the original program, the updated file is automatically saved directly back to Box because of the integration. Box Edit will track the version history of the documents so users don’t have to worry about saving files as different versions. Older versions of the documents can be accessed in the version history on Box. Box Edit also allows users to create new documents directly on Box. Users must “Select” New and choose the type of document they want to create. Once created, it is available to any collaborator with access to that folder for editing. Learn more about Box Edit and download it here: https://app.box.com/services/box_edit. Box Notes is an easy to use tool that works on Box.com or as a separate “add-on” for your desktop. Box Notes allows users to quickly take notes, share ideas and collaborate with others. The live editing and collaboration feature allows everyone to see the same note and make changes or suggestions in real time. Users can see a list of all existing notes on Box and their associated folders as well as the last collaborator to update the note. The Box Notes desktop application is a separate add-on feature, but works the same way as Box Notes in your web browser. Once Notes is installed on the computer, a shortcut icon is created on the desktop. It can also be accessed from the list of programs installed on the computer. Users can edit and collaborate on notes as they would on Box.com. Any edits or changes made on the desktop application are available to collaborators in real time on Box.com. Learn more about Box Notes and download it here: https://www.box.com/notes. To assist federal defender offices and CJA panel attorneys who need to share and transfer e-discovery in their cases, the National Litigation Support Team (NLST) has obtained (“cloud”) space from Box.com for the short-term storage and transfer of data. Box.com is a simple cloud-based collaboration program that allows users to store, access, share, and transfer electronic files and documents. The service encrypts all data and has additional security features. Users can store an unlimited number of files, for their own use or to share with others, without having to use remote access to office computers. Defense teams can use different devices (such as computers, tablets, or smartphones) to access case data anywhere they can connect to the internet. This allows CJA panel attorneys to share discovery and work product easily and efficiently in a secure environment. Box.com is being used by the Department of Justice (DOJ) as their cloud service to distribute e-discovery to the defense. DOJ evaluated it against other similar products and concluded it best met their security standards. Box.com is committed to ensuring that your data will remain as secure as possible, and providing strong customer support. They have worked closely with the NLST in designing a cloud service that effectively addresses CJA counsels’ growing problem of moving and sharing large volumes of data. The NLST will work directly with each defense team to set up their cloud case folders, and to provide ongoing support of their use of Box.com. granting rights of different team members to get into specific folders. Because cloud contracts like this store case information on servers owned by Box.com, attorneys remain ultimately responsible for the use of this service. Before using it, CJA members should review their local bar opinions regarding the use of cloud computing and storage. When the case has concluded, (or sooner if counsel no longer needs this service), the CJA lawyer must delete all case materials from Box.com. The NLST will help ensure the case files are deleted, and the case is properly closed. Counsel should always maintain a copy of all files on their office computer system (besides the information stored in the cloud), as only duplicate files should be stored on Box.com. What is the difference between Box.com and Dropbox? Box.com and Dropbox are both cloud based repositories. The Department of Justice is using Box.com, renamed USAfx, to distribute discovery to defense counsel in many districts. Since the DOJ has approved of the security protocols of Box.com, we felt that it would be helpful to make Box.com available to federal defender offices and CJA panel attorneys on a national level. For that reason, the National Litigation Support Team (NLST) has a national contract with Box.com and not with DropBox. The NLST assists in creating and managing case folders on Box.com for the sharing of work product and discovery but we do not support the use of DropBox in any way. Since USAfx is just Box.com rebranded, can I use my USAfx user ID to log in to a case folder that I have asked the NLST to create on Box.com? Unfortunately, no. Your user ID and password for USAfx is unique to USAfx and will only work on USAfx. You will need to set up a regular Box.com account and use that user ID and password to access any case folder created by the NLST. How do I request a new case folder to be set up? If you think your case would benefit from having a case folder set up on Box.com, please contact the NLST (Kalei Achiu – kalei_achiu@fd.org, 510-250-6310; Alex Roberts – alex_roberts@fd.org, 510-637-1955; Kelly Scribner, 510-637-1952) Once it has been decided that Box.com is the way to go, fill out a request form at: http://survey.fd.org/TakeSurvey.aspx?SurveyID=boxrequest. You will be notified once your case folder is ready to be used. Every person invited to work within a folder on Box.com is known as a collaborator. Each collaborator needs to have their own Box.com account and needs to be invited to the folder by the NLST. If you receive an invitation to collaborate on a folder and you don’t have a Box.com account yet, you will first need to set one up. Can I invite other users to collaborate on a case folder myself? Only the NLST can invite collaborators to a folder to ensure that only those who should have access to a folder are granted access. Box.com works well for sharing a subset of information with an expert. Each sub-folder can have a different set of collaborators so you can set up a folder that only you and your expert can access. Can access to a folder be limited to “read only” for certain users? How do I setup a Box.com account? To set up a free, personal Box.com account, which is all you need to access any case folder created by the NLST, simply go to https://app.box.com/signup/n/personal and follow the instructions. Can I access my Box.com folder on my phone or tablet? Box.com is mobile device friendly. You can download the Box app to your phone or tablet and access your folders and documents using the same log in credentials you do on Box.com when sitting at your computer. Why am I being asked verify my account with a text code? We want to make sure that the data being shared is done so in a secure way. Asking for a text code in addition to your user name and password is one way of ensuring that the person who is logging in is in fact the person authorized to see the data. This two factor authentication process is just one of the many security measures that makes Box.com a safer way to transfer data between legal teams, clients and experts. There are two ways to upload items into your case folder. You can either (1) drag and drop a file or folder from your computer into the folder or (2) click on the “Upload” button at the top of the page and browse to the filer or folder you want to upload. There are two ways to download items into your case folder. You can either (1) right click on the file or folder and choose the download option or (2) click on the ellipses […] next to the file or folder and choose download. Folders are downloaded as .zip files so you have to extract the files to your computer once the download is complete. Can I get notified when another collaborator adds or deletes documents from a folder? You can set your user preferences to receive email notifications when another collaborator downloads, uploads, makes comments, previews or deletes items from your case folder. Click on the down arrow next to your name and select account settings. Then click on Notifications along the menu bar. From there, you can select when you receive email notifications based on the actions of other collaborators. How do I setup a sub-folder within a case folder? If you have a folder on your computer that you want to make a sub-folder in your Box.com case folder, drag and drop the folder from your computer into your case folder. If you want to create a new sub-folder, click on the “New” button and a sub-folder will appear. What happens when something is deleted? Items that are deleted are moved to your Box.com Trash folder. Deleted items will stay in the Trash folder for 90 days, during which time you can go into your Trash folder and restore those items to your case folder. After 90 days, they will be permanently deleted. Is there a maximum amount of data that I can use Box.com to share? What if I have 75 gigs or 1 terabyte? There is no limit to the number of files or folders that can be shared on Box.com. For most users, there is a 250MB per file upload limit. If you need to upload files larger than 250MB, contact the NLST for assistance. How do I edit a Microsoft Office document that has been shared on Box.com and track each version on Box.com? Collaborators can use Box Edit to make changes to Microsoft Office documents. The changes will be saved directly back to Box.com along with access to prior versions of the document (see: https://app.box.com/services/box_edit for details and requirements). Why is “NLST Admin” the Owner of the folder I requested to be created? The NLST has a national contract with Box.com and is responsible for the creation and management of case folders in order to ensure sure that the appropriate security settings and collaborator permissions are used. We are responsible for the security of our hosted space on Box.com and we want to make sure that nobody is accidentally allowed access to any case data. Can I use Box.com to store old case files? While your personal Box.com space can be used for any purpose, the case folders set up on Box.com by the NSLT is not designed for the storage of old files long term. Case folders are meant for the short term sharing and transfer of files and to allow for teams to collaboratively edit documents while tracking each version. When you first open dtSearch the window layout and user preferences will be using the programs default settings. We’ve found that modifying certain settings will increase the search capabilities and will make navigating and working with the program easier. The system will remember your preferences so you only have to modify these settings once. By default, the program is set to search document content, but not file or folder names and there are times when searching file and folder names can be helpful. Additionally, the search results screen uses a top-bottom layout (the list of results will be on the top with a document preview on the bottom). Since most documents have a portrait orientation, a side-by-side layout is generally easier to work with. With Adobe Acrobat documents, there is an additional plug-in needed to be able to navigate through search results within the same document. To change the user preferences, go to the “Options” menu and choose “Preferences”. In the Preferences window, under “Indexing Options” place a check next to “Index filenames as text” (leave “Include path information” checked as well). Next, go to “Search results” within the “Search Options” section and place a check next to “Checkbox” and “Type” within the “Items to include in search results” section. Then under the “Window layout” section, select “Vertical split”. Finally, select “PDF view options” in the “Document Options” section. Look in the “Highlighting hits in Adobe Reader” area. If the screen reads “A plug-in is needed…” then select the “Configure Plug-in” button and follow the screen prompts to install (if the screen reads the plug-in is installed then there is nothing more you need to do). Once you have made the changes, click “OK”. You will receive a message notifying you that the new window layout won’t appear until you close and restart dtSearch. To see the changes, close dtSearch and re-open it. You will see the window layout is in the side-by-side “Vertical split” view. When you run a search, your search results will now appear on the left, with checkboxes and the document viewer on the right. Within PDF documents you will now be able to use the hit navigation buttons. Going forward, any new indexes you create will include the ability to search file and folder names. If you wish to add this feature to any of your existing indexes, run “Update Index” from the “Index” menu. For additional help with dtSearch, please use the “Help” menu or visit dtSearch.com. dtSearch is a popular search and retrieval program. Here is a brief 12 minute video that demonstrates how to setup a new dtSearch index and how to run searches within an index. As mentioned in the dtSearch Desktop post, we have been able to obtain a limited number of licenses that will be made available to CJA panel attorneys with current, active cases. To request a license go to the dtSearch Desktop post and fill out the request form on the bottom. Note: like most litigation software programs, this program was developed for Windows-based operating systems and does not work with Macintosh operating systems. We are pleased to announce that we have been able to obtain a limited number of dtSearch Desktop software licenses for CJA panel attorneys with current, active cases. dtSearch is a popular search and retrieval program, and it is the search engine utilized in well known computer programs such as Forensic Tool Kit (FTK, a computer forensic tool), CaseMap and Adobe Acrobat Pro. This type of program is a useful tool to assist legal teams in searching discovery, creating brief banks, and viewing different file types (including non-PDF files) even if you don’t have the associated application. We have a limited number of licenses available for CJA panel attorneys to use for free (a $200 value). The program provides great functionality in searching both electronic documents and paper documents that are subsequently scanned and converted to a text searchable format, especially since it can search and retrieve information in many different file types. dtSearch is a user friendly software program which provides immediate results and utility for even the novice computer user. As electronic discovery in federal criminal matters continues to grow in volume and in the variety of formats, dtSearch is a useful tool for CJA panel attorneys faced with the daunting task of organizing and searching through their case material. To obtain the software, please fill out the dtSearch Request Form below. When finished filling out this form, press the “submit” button on the bottom of the form. This will attach your completed form to an email message sent to National Litigation Support Paralegal Kalei Achiu. You will then receive an email with download instructions and the activation code necessary to obtain your free copy of the dtSearch Desktop. Please allow up to 5 business days to process your request. Each user license can be installed for that user on two machines. You must have an active appointed case to continue to utilize the license. If you are no longer on the panel and don’t have an active appointed case, we request you return the license to the National Litigation Support Team (NLST) by contacting Kalei Achiu so the license can be used by other CJA panel attorneys. Like most litigation software programs, this program was developed for Windows-based operating systems and does not work with Macintosh operating systems. For technical support or if you have any questions regarding the utilization of dtSearch within your office, please contact either Alex Roberts or Kalei Achiu. If you want to learn more about dtSearch, go to http://dtsearch.com/. When working with PDF documents you may encounter a “renderable text” error message. This message will sometimes occur when trying to make a scanned paper PDF file text searchable (also know as adding OCR to a document). “Renderable text” is typically text that has been added to an scanned paper image (like a header, footer or bates number), through a non-Acrobat program. The way this text is encoded into the page can cause Acrobat to disallow additional searchable text (OCR text). This message can certainly be annoying and it can also be significant as it can limit your ability to run searches. In Acrobat, you will be unable to add new searchable OCR text, or improve the quality of the existing OCR, until the error is fixed. Solution 1: Obtain a version of the document with OCR. It may seem simplistic, but if you receive documents without searchable OCR, ask for it. Often the person or organization that gave it to you will want to search the files themselves and may already have a copy that has been OCR’ed. Even if the documents they give you generate “renderable text” error messages, you will still be able to search any of the existing OCR text within the files. Solution 2: If the files are from PACER / ECF, download a new copy. The default download settings in PACER / ECF will add “purple” headers with the case number (which will cause a “renderable text” error message). If you can find the document again in PACER / ECF, download it with the header option turned off. Solution 3: Run “Add Tags to Document” (available in Acrobat Pro). 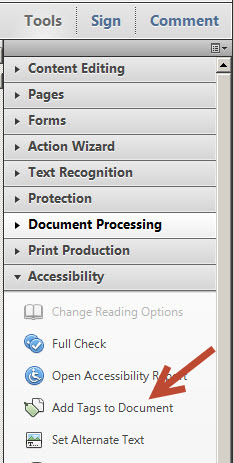 If you have Acrobat Pro installed there is a special “Accessibility” menu where you can run “Add Tags to Document”. For certain PDF’s, running this option will clear up the issue and allow the document OCR to be run. Solution 4: Print the document to PDF (available in Acrobat Standard and Acrobat Pro). If you have Acrobat installed (Standard or Pro) you’ll probably also have access to an “Acrobat PDF” virtual printer. By printing the document to this virtual printer, the new PDF that is created will often avoid having the renderable text issue. Solution 5: “Sanitize” the document then rerun OCR (available in Acrobat Pro). From the “Protection” menu run “Sanitize Document”. This will remove all of the document metadata including some of the rendered text that might be causing the error. Solution 6: Convert to TIFF files and back, and then re-run OCR (available in Acrobat Standard and Acrobat Pro). Open the PDF document in Acrobat and choose “File > Save As“. In the “Save As” dialog box, choose TIFF (*.tif, *.tiff) from the Save As Type (Windows) or Format (Mac OS) pop-up menu. Specify a location, and then click Save. Acrobat saves each page of the PDF document as a separate, sequentially numbered TIFF file. Combine the single pages back into a multipage document and re-run the OCR process. Solution 7: Convert to XPS file format and back, and then re-run OCR. If your computer has the “XPS” virtual printer installed (it comes with many version of MS Office) then print the file using the “Microsoft XPS Document Writer” printer. The XPS printer will ask you to save the file. Convert the saved XPS file to PDF. Re-run the OCR process on the new PDF. Solution 8: Try running the OCR using a different program. Other OCR programs (like Nuance OmniPage or ABBY FineReader) have OCR options that will incorporate the existing “rendered” text. Adobe Acrobat Pro is one of the most popular computer software programs on the market for FDO and CJA panel attorneys. Since so much of the discovery we currently receive in criminal cases is provided in paper or scanned paper format, Acrobat Pro is an excellent tool to help you to better organize and review it. In our team’s continued efforts to providing resource to CJA panel attorneys and FDO staff, we are creating a series of training videos. Each short video will address a specific feature in a computer software program with our first set focused on Adobe Acrobat Pro XI. Future videos we are developing will also be posted on this blog. Make sure to check back in or sign up to subscribe to our blog to get notices of new posts by email. These videos do not take the place of hands-on training sessions where we can get in depth about a variety of software programs and legal strategies for addressing complex cases, but it hopefully will provide you some basic background information that can help you in your cases. The first video (created by Kelly Scribner and Alex Roberts) gives key information to consider when using OCR text recognition with Adobe Acrobat Pro for scanned paper. Though much has been written about the incredible functionality available with Adobe Acrobat Pro, this short seven minute demonstration focuses on points that we think are most important for you to consider when using OCR in Acrobat Pro. So you think you don’t need tech? Editor’s Note: Penny Marshall is currently in private practice, focusing on Law and Technology. Previously she was the Federal Defender for the Federal Public Defender Office for the District of Delaware. Her practice has also included the federal and local level in the District of Columbia and a year and a half stint in the state of Georgia. She has served as President of the Association of Federal Defenders and Chair of the Third Circuit Lawyers Advisory Committee. In addition, she is an adjunct faculty member at Widener Law School and has served as guest faculty at both Harvard Law School and Benjamin Cardoza School of Law. Imagine that the government has provided you with 50 DVD’s, a stack of paper amounting to more than a 100,000 documents, an ample number of CD’s and a list several hundred witnesses. If you instinctively start to prepare by hiring enough paralegals to print out all of documents on the DVD’s, put them all in manila folders, and then hope that you or your smart energetic personnel will remember, in the middle of cross-examination, exactly where a particular impeaching statement is located, then this blog is certainly for you. Even in the less complex cases, there is increasing reliance by prosecutors on digital discovery rather than forwarding a stack of reports and pictures. And certainly the video and audio of our clients providing visual and audio support for the government case will be represented in a digital fashion. In the new technological age more and more the government is able to “over paper” a case by putting any and all documents on electronic media and challenge YOU to find what is truly relevant. More and more the government is following the way of our civil counterparts, who have long used technology as a way to organize and present their case. We, as defense lawyers are prime to catch up. Generally, the first advantage is that technology allows all of your information to be stored and organized in a compact easy to find location. Almost gone are the days of moving numerous boxes from one location to the other to be copied and filed. The next advantage is that the digital approach allows for your documents to be searched, either by looking in the digital file or by a program that blitzes through numerous documents to find one name or one crucial word. Tiny print, upside down lettering and even handwriting can be deciphered. A third advantage is that technology is a less costly way of presenting evidence. For example: compare for example a FBI model versus using a computer program to reconstruct a crime scene. Also think of the flexibility! Fourth, technology organization requires you to focus on your case in advance. Rather than place the paper in an accordion file and bringing it out close to trial, electronics says you must consider the parts of the case in advance. The fact that we are in a visual age cannot be understated. TV, Text, Laptops, PCs, Phones, Tablets all require us to stare at electronic screens. Each of these compete for our attention by making more and more exciting bells and whistles. 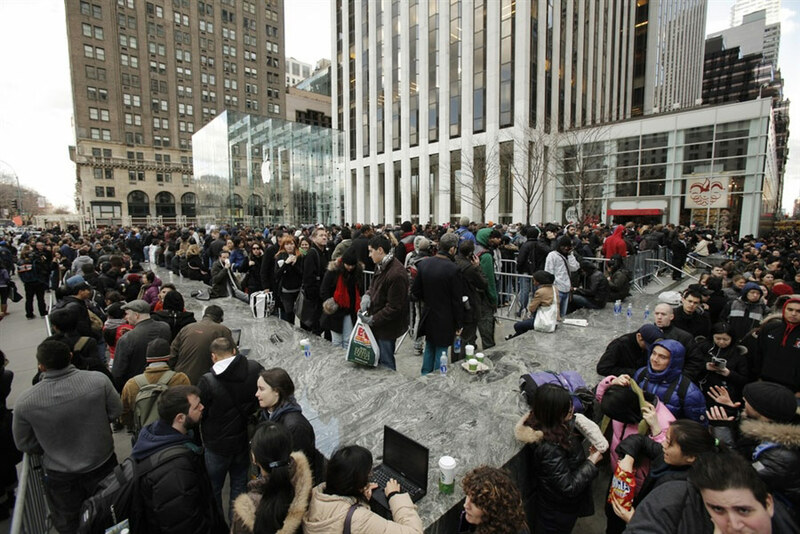 Check out the lines in front of an Apple store once a new “iDevice” is revealed. Even though jury duty is a diversion from the normal life for our citizenry, many jurors are regular consumers who expect theatrics in the courtroom. I must admit that, at first, I went kicking and screaming that I was not fully comfortable with tech in the courtroom, but having tried complex cases where it was an absolute necessity and experienced the impact of it in even the more modest case, I am an absolute convert. 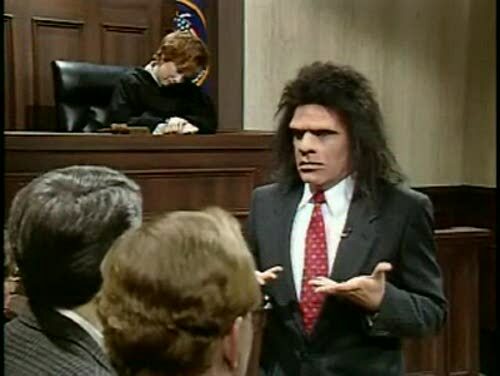 Think about it, even if you are one of the great lawyers of the day, jurors may tire of your voice in a long case with significant documents, especially if you are asking the Court’s indulgence to find your trial evidence! !